Following on the footsteps of the FollowMe lamp, this new version of the popular design brings more light and warmth into larger spaces. While the FollowMe Plus lamp dwarfs the compact size of the original, it maintains the same design full of character and charm. Inma Bermúdez created this version for spacious areas but preserved the portability of the design intact. 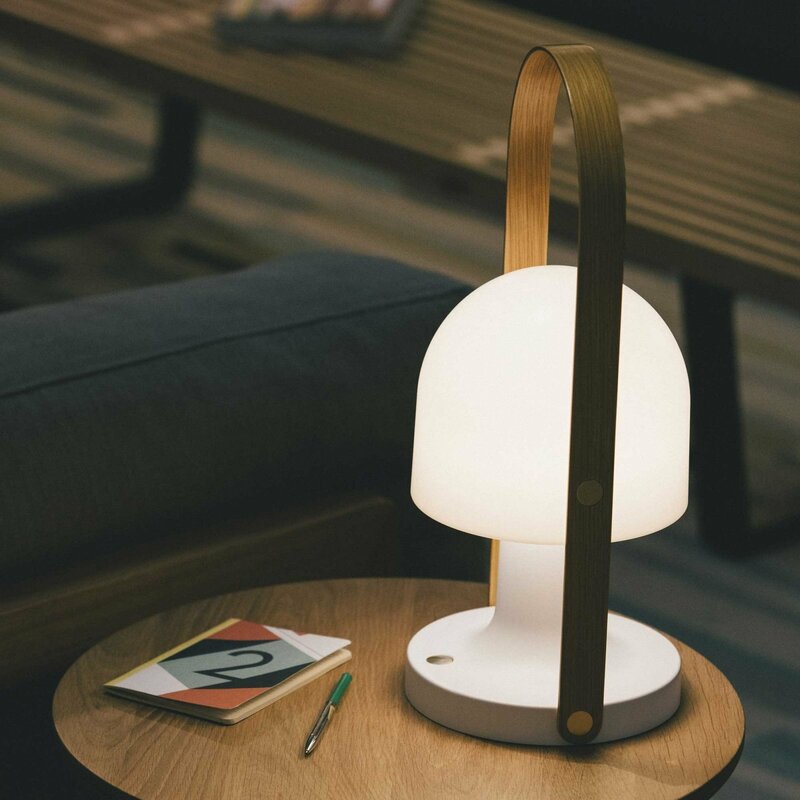 The lamp features an oak handle and a polycarbonate shade that tilts to focus the light where needed. The three-position dimmer changes the intensity of the light and also provides a convenient solution to save the battery life. The built-in battery charges easily via a micro USB cable and lasts for 5 hours on the brightest setting and 20 hours on the lowest intensity. You can use the versatile FollowMe Plus light as a table lamp, desk lamp, or floor lamp. Notes: Designed primarily for indoor use. Battery lasts 5 hours in peak power, 10 hours in half power, 20 hours in quarter power. Charging time 10 hours.